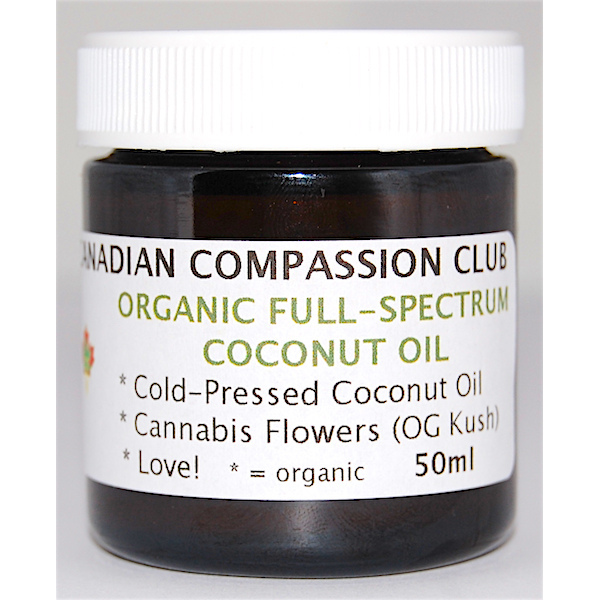 * This Full Spectrum Coconut Oil mixture is made with Organic Okanagan sun-grown OG Kush Cannabis Flowers. * These flowers have been infused into cold-pressed virgin Organic Coconut Oil. We are pleased to bring this high-quality all-Organic medicine to our members! * This Full Spectrum Coconut Oil can be used in all of your baking! It is good on toast, in your coffee, or used for making pancakes. You can use it topically to treat skin and muscle ailments. You can use it for wound treatment by using a small amount on a bandage. You can also just eat a small amount any time you are in need! * High in THC. Good for pain relief, relaxation, stress relief, and sleep. * Strong medicine, made with love!